Officially, fandom is a term used to refer to a subculture composed of fans who share passionate feelings of sympathy and camaraderie with others who share a common interest. Fans typically are interested in even minor details of the object(s) of their interest and spend a significant portion of their time and energy involved with their interest, often as a part of a social network with particular practices that differentiates fans from those with only a casual interest. While most bands have passionate fans, The Specials have particularly passionate fans (which I experienced first hand when I saw the band perform in New Yorrk last spring). The band's reunion tour has given fans, who were often young adolescents and teens in the late 70's and early 80's, a chance to relive that initial excitement and energy again in their 30's and 40's. I know finally seeing the band live was a religious experience for me. 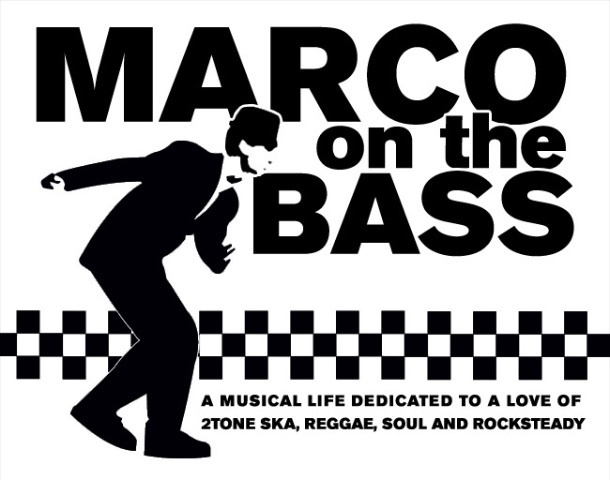 While many of us count ourselves as dedicated fans who know the arcane and intricate details of The Specials musical history and can quote the band's lyrics chapter and verse, I do believe Robert may be one of the band's most passionate fans. Indeed, the band and their music have helped him through a number of life's challenges and to show his gratitude and dedication, he commissioned a full tattoo of a picture of the band across his entire back. 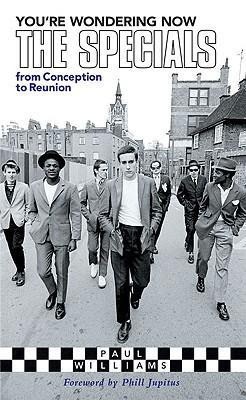 The picture he selected came from the cover of Paul Williams' definitive history of the band -- 'You're Wondering Now - The Specials from Conception to Reunion'. After hearing about The Specials gig in Belfast last weekend, I also heard rumors about Robert, who's tattooed devotion to the band caused a mini riot in the crowd, as hundreds of fans clamored to get a photo of his back. Once I saw the tattoo I knew I needed to know more about the story behind it. I was able to connect with Robert, who kindly shared his story and the events that led to his decision to tattoo the band on his back. Read excerpts of our conversation below. I had a Specials tattoo on my right shoulder of Walt Jabsco done when I was 17. 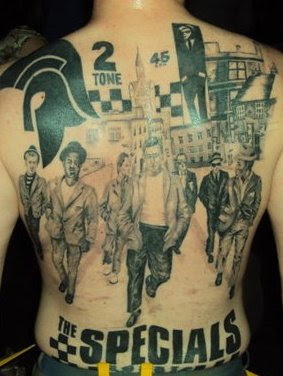 I had always wanted the picture of The Specials from the back cover of the first album done as a back piece. The thought of the pain and the cost did put some doubts in my head however. I am a proud dad with two sons. My eldest Robbie, is 11 years old and my youngest Joel is 6 years old. They are so into their ska music! Unfortunately my son Joel needed life saving heart surgery when he was four days old and has required further major open heart surgeries since. 2010 was quite a bad year. Joel was in poor health. My mum moved into a care home with Alzheimer's and my dad had taken a stroke. I needed something to lift me and to focus on, other than the love of my family. The Specials were something that meant so much to me and shaped my life from when I was 10 years old. I had purchased Paul Williams book 'You're Wondering Now' and I got a signed picture with it. The photograph on the cover of the book looked amazing and after chatting to my wife, I decided to go for this design as a back piece. I had done my homework on local tattooists and decided to go for a guy called Stuart Walker who had been an art student before going into tattooing. We chatted a few times over the design and on January 16th 2010, I spent my first 4 hours under the needle. I had five further four hour sittings and the tattoo was completed by March 12th 2010. I didn't flinch at all and Stuart couldn't believe how I took the pain. I used my son as inspiration and thought of the pain he went through before during and after his three surgeries. Each one of The Specials has seen my tattoo. Terry Hall mentioned it on local radio last month and Roddy Byers has sent me messages on Facebook and The Specials website. At the Specials gig last Saturday my back was photographed at least 500 times and the comments i got where truly amazing. I am arranging to meet up with The Band at the sound check at The Alexandra Palace show and have my back autographed by each one of the band. The Stuart will ink each signature for me. Thanks very much to Robert for sharing his story. I'm looking to profile other fans of The Specials as they embark on their final tour. If you or someone you know has a story to tell, let me know! very touching - and no better band! for touching - and no better band! I am honoured that my book cover inspired such a fantastic piece of art. Nice one rab!